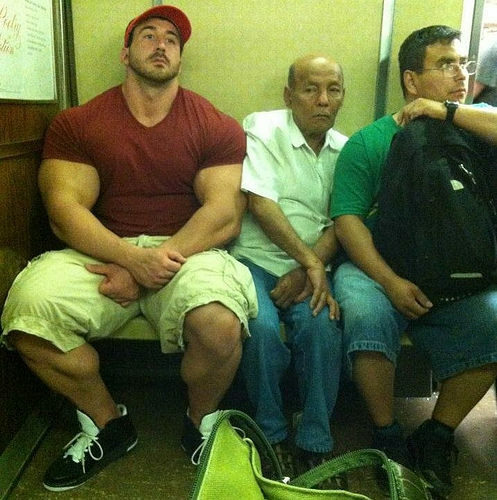 How to caption this with out resorting to steroid types. I see you do push ups outside of the gym too. Wow I've got lots of room, if this was India I would be sitting on their laps, on the roof. The CONstrict feat. K-Orville | giffgaff. "Well you did ask for a beef sandwich." Middle guy : "I wanna make conversation here...I'll ask the big fella if he's a "pimping iron"...I'm sure that's what it's called." "Born conjoined at the shoulder, two-thirds of these unlikely triplets like going to the gym together"
I never did understand the rules of squash. "You really gotta stop muscling in on my territory." Middle guy: "Over here dear, I've saved you a place." "and the winner of Mr Punyverse 2018 is..."
Two’s company three’s a crowd.